Hello there! 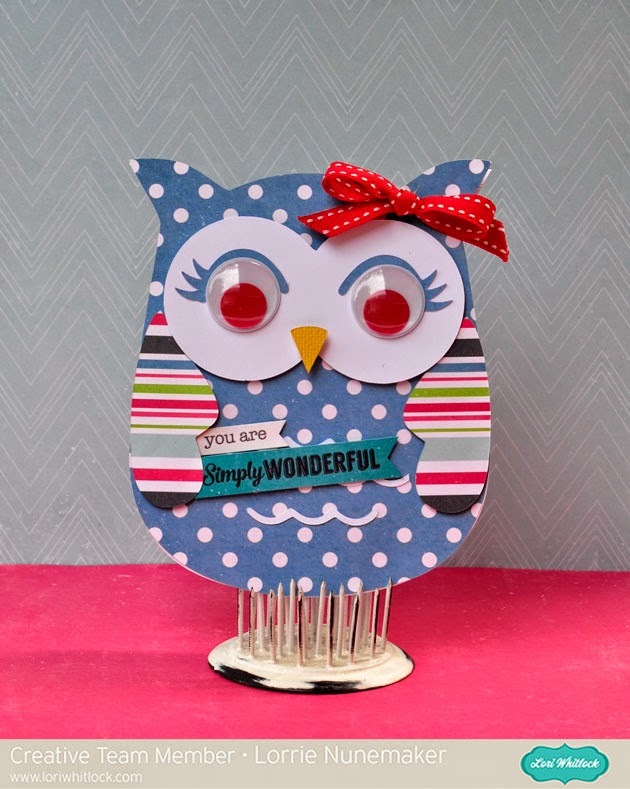 I wanted to share this fun shape card I made using Lori Whitlock's Owl SVG and my Sizzix Eclips2. The papers are also from Lori Whitlock from the "We Are Family Collection". I added 3D googly eyes and I turned the eyelashes upside down (originally they look like the owl is sleeping when turned the way they were intended). Basic Grey Highline Collection meets Thermoweb!